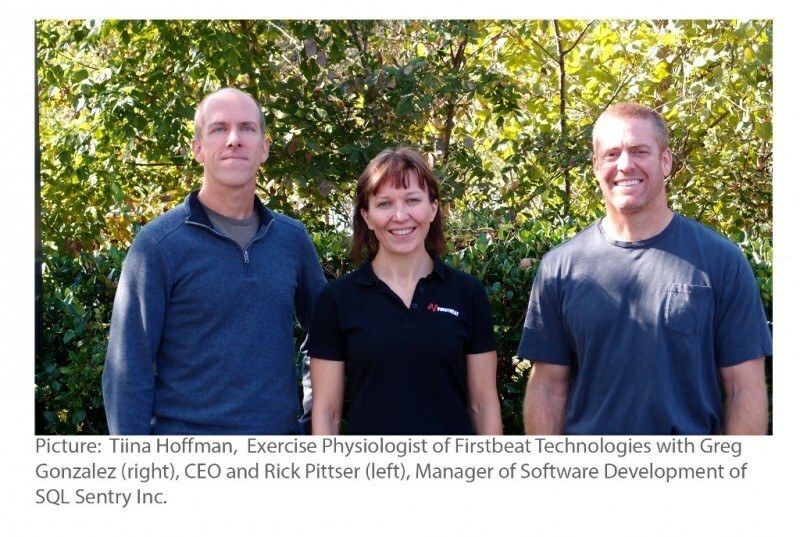 Manager of Software Development of SQL Sentry Inc., Rick Pittser first heard about Firstbeat four years ago while looking for ways to help track and improve his running performance. ”After using the tracking software and finding out about the Firstbeat Lifestyle Assessment, I became very interested, as I try to find ways to improve upon my health and well-being”, Pittser explains. Pittser introduced the idea to Greg Gonzalez, CEO and owner of SQL Sentry who is also very interested in health and fitness. For Gonzalez, the Firstbeat name was familiar from using Suunto and Garmin heart rate monitors that include Firstbeat analytics as part of his own training. Having seen the insight and incentive that data can provide about exercise, he was very interested in going beyond that to find out what kind of information a three-day assessment could bring. Gonzalez underwent the assessment to determine if it was something that he would find valuable on a larger scale. As a progressive company, SQL Sentry provides many opportunities to employees to encourage fitness and exercise. “Offering the Firstbeat assessment to all of the employees was a great way to provide yet another option for them to get more information about their well-being”, Gonzalez explains. When offered to the entire staff of 30 people, 23 employees took part in the assessment. Firstbeat sent the Bodyguard devices to SQL Sentry and each person got to choose a 3-day measurement period within a 2-week time frame. 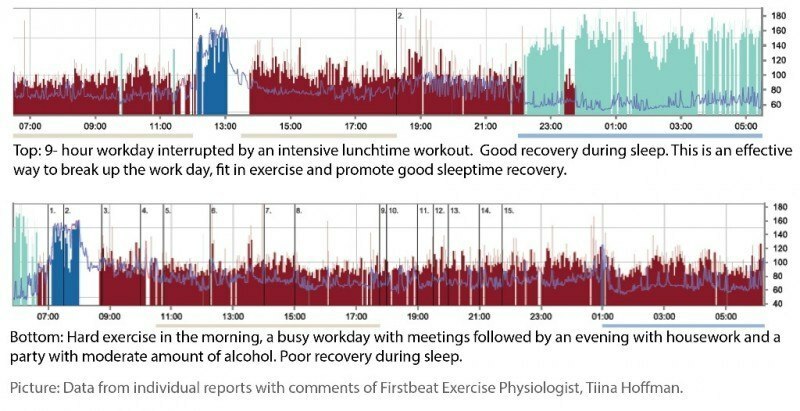 A contact person at SQL Sentry uploaded the data for Firstbeat wellness specialist Tiina Hoffman to analyze, before providing a group feedback session and individual discussions. At the group level, the percent of recovery in a 24-hour period was 22%, which is somewhat below Firstbeat’s recommendation of 30%. The days tended to be very busy with very little daytime recovery, and even if most people’s overall result was at least moderate, quite a few nights showed poor recovery. “The typical causes of this were very similar to what we have observed in other companies. Busy lives with a bit too much to do and limited opportunities to ‘slow down’, intensive exercise in the evening, and even moderate alcohol consumption can all affect our ability to recover optimally”, Hoffman explains. Individual goals were set through personal reflection and/or personal discussions. Typical goals included: learning to balance the busy days with less busy ones, going to bed earlier, learning to program exercise into the weekly schedule at least 3 days per week to ensure it gets done, and better overall exercise prescription. The challenge for the more serious exercisers was actually understanding how much a high-intensity exercise session takes out of you and accepting that a balanced training plan should also include easier recovery workouts. Director of Client Services, Jason Hall thought the Firstbeat measurement was easy to conduct and found the assessment valuable in supporting his personal well-being and weight management. Hall was also excited to find out that the physical exercise he was undertaking provided very good training benefits. Overall the staff was happy to receive personal feedback about developing their well-being. “As the coordinator of the program for SQL Sentry, I received a lot of very positive feedback from participants, and also heard from a number of people who felt that they could use their results to make an impact on their personal lifestyle”, states Pittser. “It was great to see the company’s active role in supporting the well-being of their staff by offering financial incentives, such as a gym membership, and an opportunity to work out during the workday. This commitment and support by the company was obviously very highly appreciated by the employees”, Hoffman concludes. SQL Sentry participated in a follow-up Lifestyle Assessment in autumn 2014. Read more about the follow-up.